Politics professor and blogger Daniel W. Drezner examines what might really happen in a zombie outbreak. Pretty much every zombie movie has the same message: When the zombies turn up, the human race is in trouble. But according to Drezner the reality would be much less apocalyptic. Writing for the award winning Foreign Policy magazine, Drezner theorizes about the possible responses to a zombie outbreak from realist, liberal and neoconservative governments, and the impact it would have on international politics. 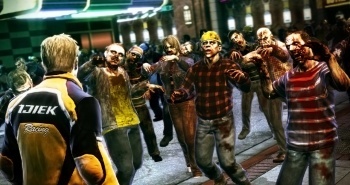 Drezner says that the realist response would be to treat a zombie outbreak like any other plague, and the effect on international politics would be minimal, unless the zombie outbreak is used as an excuse for one state to invade another, such as China invading Taiwan or the US invading Cuba. The liberal response would emphasize cooperation, Drezner writes, and would likely result in an "international counterzombie regime," which although not perfect, would be able to function well enough so that most countries would have very little to worry about. The neoconservatives would almost certainly take the fight to the zombies in an aggressive, militarized response, but Drezner believes that zombies would be lumped in with other threats into an "Axis of Evil Dead," which would hinder military effectiveness by preventing efforts to form a global coalition. The solutions are very different, but Drezner believes that the point of commonality is that the ultimately the zombie threat would be contained: "Powerful states would be more likely to withstand an army of flesh-eating ghouls," he says. "In the end, what I am suggesting is that with careful planning and a consistent approach, the zombie threat can be managed." As he's for why he's writing about zombies on a site more commonly concerned with the war in Iraq and other similarly serious topics, Drezner says that he thinks the proliferation of zombie movies and games could represent "an indirect attempt to get a cognitive grip on what former U.S. Defense Secretary Donald Rumsfeld once referred to as the 'unknown unknowns' in international security." Alternatively, he muses, people could have a genuine, although unconscious, fear of the dead rising from the grave. The essay makes for a very interesting read, and Drezner has a book coming out on the same subject, so if your interest is piqued and you want to read more about it, you'll be able to do so soon.